Hockey, Measurement and Cognitive Dissonance – What do I do with what I know? So it is that time of year again…hockey season. Perhaps not for the NHL, but seemingly everywhere else in Canada. 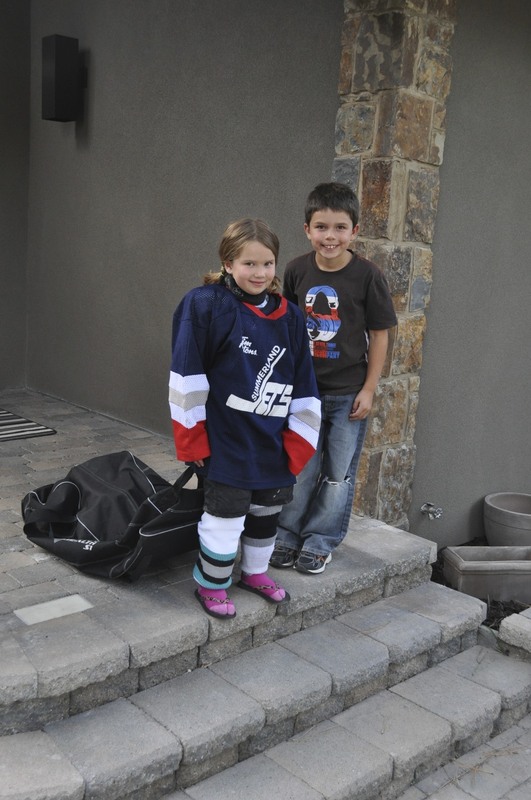 My wife and I braced for the inevitable this fall – two kids in minor hockey and all the related practices, games, meetings and miles. As a parent I lace ‘em up for my own kids 3 to 4 times a week. If it ever gets cold again, and our backyard rink freezes, that will change to 6 or 7 times a week. Thanks to Hockey Canada, the emergence of a new season also brings with it testing and evaluation. We put our young skaters through 6 different skill and speed activities to measure both development and comparison to other skaters across Canada in the same age group. Shooting accuracy, agility and speed are all measured and assessed. A nation-wide measurement tool naturally comes with some parameters and rules. For instance, in one of the speed drills we use a stopwatch to measure the speed at which each skater completes a set route. It was suggested that one of the rules was that skaters be given 2 chances to register a time and we would take the best time. When I took on this particular station last year, stop watch and clipboard in hand, it seemed pretty simple. That was until ‘Jimmy’ took his turn. Jimmy was arguably our team’s best skater – fast, agile and nimble. In games he usually scored his three maximum allowable goals and for the sake of this topic, he very seldom fell to the ice. When he took his turn for the timed speed event, he gave it his all, but fell on his first two attempts as he sought to lean extra low into the third corner. I attempted to counsel Jimmy that he make sure he complete the course and register a good time, even if it was not his absolute best time possible. I bent the rules a little and gave him a third attempt. On his third attempt he fell again on the same corner. Drat. Back to Jimmy. I found myself in a state of cognitive dissonance. On one hand, based on all other experiences and observations, I knew he was our fastest skater who usually sakted an entire game without falling. On the other hand, I felt bound to record him as our slowest skater based on his three failed speed attempts and my understanding of the Hockey Canada rules. This skater was only supposed to be allowed two attempts, and I had already sought to help him by giving him a third. It would not be fair to the others to give him seemingly unlimited attempts. We didn’t have time to give him more attempts. Bending the rules sets a poor example for others. He needs to learn there are consequences to trying to skate recklessly fast. Despite amassing a plethora of reasons why I should not give yet another chance, one glaring belief remained – the data did not seem to reflect his skating ability, but rather how he was approaching the assessment. I find the same cognitive dissonance issue arises around zeros, late deductions and other effort/behaviour elements factored into grading. Punitive/consequential grading too often flies against what we either know, or think, of the student’s actual knowledge or ability. It would not be fair to others. Teach a societal or life lesson. The course outline clearly stated the rules. No formal evidence of learning equals a zero. But then again, what if I know the student knew something. Darn cognitive dissonance. This is excellent. So enlightening, thoughtful, insightful deep and fun.